TROON, Scotland -- Who saw that coming? Who saw Phil Mickelson, at 46, the winner of nothing more meaningful than a Tuesday practice-round bragging-rights match since his 2013 British Open victory, coming to the stern links of Royal Troon, playing four days of nearly perfect golf, shooting 17 under par, and losing by three? But that's what happened here on Sunday. 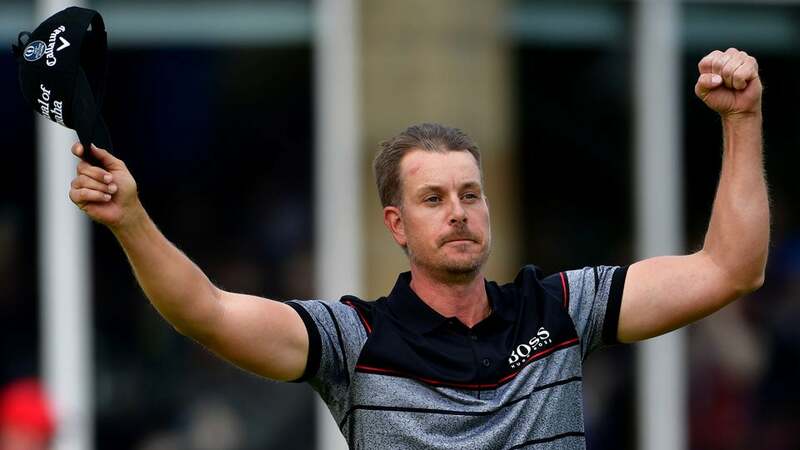 In one of the greatest displays of golf this championship has ever seen, Henrik Stenson, at 40, became the first Swede to claim a men's major title with his victory at the 145th British Open. The final round was a stunning display of mano a mano golf, as Stenson and Mickelson, going off in the last twosome of the day, completely distanced themselves from the rest of the field and matched each other almost shot for shot in what amounted to golf theater as its most exhilarating. Commentators, including the gents at NBC, who were handling their first broadcast of golf's oldest and grandest championship, were tempted to call it Duel in the Sun II. At that epic '77 Open, Jack Nicklaus and Tom Watson went at it, almost alone, for two days. But that would be a stretch. For one thing, although Mickelson is almost at Watson's level among the all-time greats, Stenson, amiable and talented though he is, is no Nicklaus. Troon does not have the stunning beauty of Turnberry, which is just down the road. Also, there was no sun for most of the day until it peaked out here and there near the end of the round, when Stenson went berserk with his putter -- with his everything -- playing the final five holes in four under par. Still, Mickelson, an expert (with vast experience) at being a graceful runner-up, could see the connection to DITS, when Watson prevailed by a shot over Nicklaus. "It certainly crossed my mind a little bit out there today, when Jack and Tom and went head-to-head in '77," said Mickelson, who finished second in a major for the 11th time. "I know I wanted to be more of Tom in that case than Jack." Stenson won with a final-round, record-tying 63. He made 10 birdies, and it marked the 29th time that 63 had been shot in a major championship. (Johnny Miller, at the 1973 U.S. Open at Oakmont, is the only other champion to do it in a final round.) All Mickelson did was post a bogey-free, six-under 65. For 14 holes, the two were never more than a shot apart, one player repeatedly matching the other with a stiff approach shot or a birdie hole-out. At the start of the round, played under unexpectedly welcoming conditions after two cold and blustery days that had players breaking out ski caps, Stenson stood at 12 under par, a shot ahead of Mickelson. Both had played spectacular golf for three days—they were also paired on Saturday—but there was nothing to suggest the Sunday fireworks they produced. Stenson, a tall and lean Swede who will surely be on the European Ryder Cup team in late September, has a long history of mediocre play on Sundays. He came to Troon with nine top-10 finishes in majors, including a second the year Mickelson won at Muirfield. As for Mickelson, he has been experimenting with putters and putter grips as the part of his game that was once his greatest asset had become a liability. But then came Sunday, a final act to a national title that made you almost forget about the debacle of Oakmont, where a confusing rules situation and unsteady play by the 54-hole leader, Shane Lowry, made the day less than glorious. When Stenson bogeyed the short and straight par-4 1st and Mickelson holed an almost gimme birdie putt, the 54-hole scoreboard totals were suddenly meaningless. Mickelson led by a shot as the two went to the 2nd tee. A shot is nothing in links golf, where bad luck in a bunker can mean a 7 on your card, where balls get can lost in the gorse and the hay. But a one-shot lead at that moment seemed significant. Mickelson had all the advantages. He was a five-time major champion. He has played in the last group of big events many, many times. He knows how to rise to the occasion. With the winds calm, he was in position to plot his way around the course with precision. With the opening three-putt bogey for Stenson, you had the feeling it would be deja vu all over again. Would he go for 80 on the par-71 course where Americans had won the last six claret jugs? But over the next nearly four hours came a reminder of why we watch and love sports. There were no rules issues. (The pace in the final group was slow, but R&A rules officials let it slide. The final group on the final day, playing for the oldest championship in golf, is never anything like a horse race. There are a lot of moving parts.) This was simply a fantastic display of driving, iron play, putting and thinking that showed the best of the best today are nearly as good as Tiger Woods. Between the two of them, hitting tee shots nearly the same length, smiling at each other by way of wordless compliment, there was barely a single errant shot. Stenson birdied the 2nd, 3rd and 4th holes. He gave the 5th a break—his birdie putt burned the edge—but made a 4 at the par-5 6th. Bam, pop, boom. A lesser opponent might have folded up the shop by that point. Mickelson did anything but. When he missed maybe a four-foot birdie putt on 3, he did something you seldom see at a professional tournament. He took a practice stroke from the same spot—flagstick in, no ball—apparently trying to work out a kink. On the next hole, the par-5 4th, Mickelson holed a roughly 10-foot putt for an eagle. He matched Stenson's birdie on 6. And so they came to the most famous hole at Troon, No. 8, a tiny par-3 called Postage Stamp, playing about 120 yards. It's a sawed-off nine-iron or wedge for these guys, who by this point both stood at 15 under par. Mickelson had the honor. He was dressed in the manner of his forebears, in charcoal-gray trousers and a black jumper. His face was reddish and wind-burned. His tee shot was a thing of beauty, leaving him a 12-footer. Stenson hit his to about 20 feet. The Swede made. The lefthander just missed. The advantage swung to Stenson, who went out in 32 despite the bogey on the 1st. Mickelson did too. Two 32s. Proof, among other things, that there is nothing wrong with letting the players play and if the conditions lend themselves to scoring, and if the players can handle themselves, low scores will follow. Both birdied the 10th. When Stenson three-putted the 11th and Mickelson got up and down for par, they were tied again. The stakes for Mickelson were enormous. For one thing, he would love to play in this year's Ryder Cup; he has been on the past 10 U.S. teams. (Post-round, Stenson said that he "absolutely" expects that Mickelson will be on the team.) Also, Mickelson is trying to distance himself from an SEC investigation in which he was charged with no crime but was discovered to have had large gambling debts to professional gambler Billy Walters, who was charged with insider trading. A win is always good for a professional golfer, but this win would have done all manner of good for Mickelson. Unfortunately, for him and others who have been in the position of running into a buzz saw, golf offers no defense. It is the game's greatest strength and why so many ordinary sports fans don't get it. Whatever Sunday problems he had in the past, Stenson went on another three-hole tear, to match his one on the front. Birdie on 14, on 15, on 16. 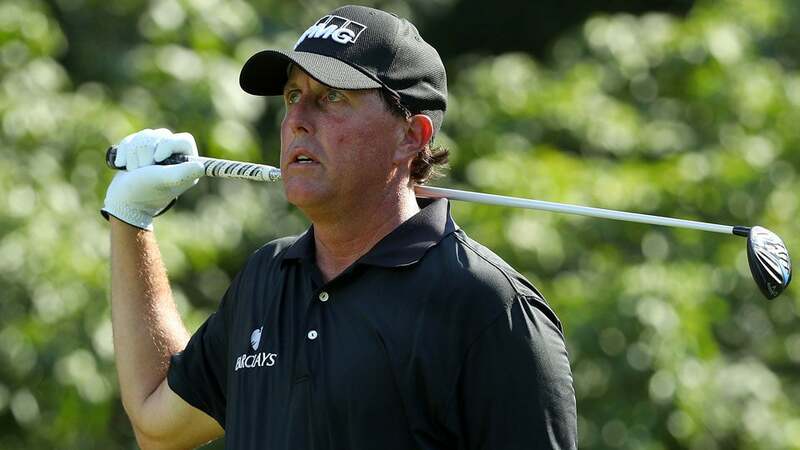 All Mickelson could do was watch and, because he is Phil, smile, while making a two pars and a birdie on those same holes. Stenson, who once stripped to his undershorts to play a shot from a murky pond at Doral, who has a quirky and quick sense of humor, had a two-shot lead. A two-shot lead with two to play has proven, often, to be nothing. Not even on this Sunday, which was a study in steadiness. Stenson's birdie putt at the 17th singed the lip, and he curled in a 20-footer at the home hole. Again, Mickelson could only smile. "I felt that this was going to be my turn," said Stenson, who speaks in a monotone that almost brings to mind Bernhard Langer and masks his quickness and intelligence. "We managed to pull away from the rest of the field, and we both played some great golf. It makes it even more special to beat a competitor like Phil. He's been one of the best to play the game." How good was their golf? The third-place finisher, J.B. Holmes, was at six under. The PGA Championship is next, in 11 days, followed by the Olympics and then the Ryder Cup. You'll be seeing a lot of Henrik Stenson. No matter what he does in those three events, he's the champion golfer of the year.